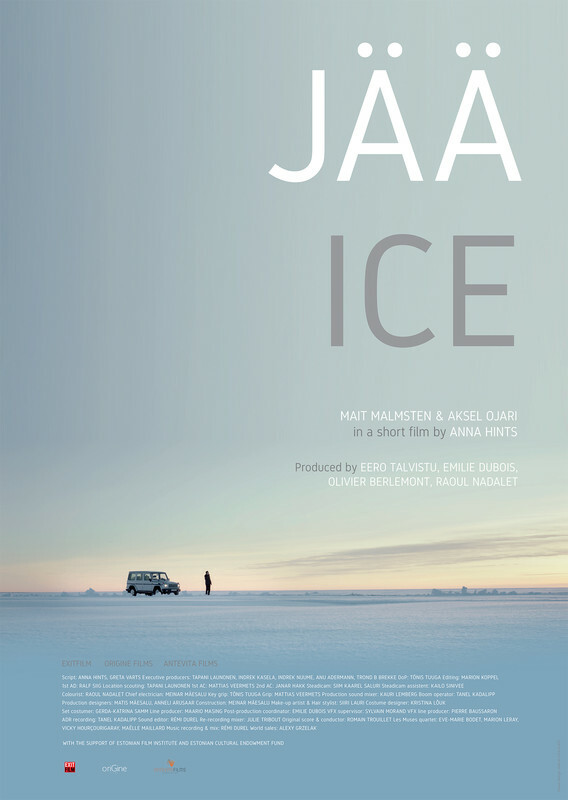 Brutal, bleak, but beautiful, the short film ICE by Anna Hints is a moving tale about a father (Harri) trying to reconnect with his estranged son by taking him on a camping trip to the island that Harri used to go to when he was a boy. The entire film is set in a desolate landscape. It’s in the middle of winter and snowing as father and son make their way across a frozen lake to their destination. It’s pitch white at times and almost impossible to see anything. The harsh conditions and scenery creates an intense background that adds to the tense atmosphere surrounding Harri and his son. Harri is jaded from his time in combat. After asking what his son is reading - a novel about two brothers who die and are transported to a valley with cherry blossoms – his dismisses the content first as a child’s fairy tale and then by saying that there’s nothing afterwards when people die. He’s harsh and unimaginative and his son is creative and sensitive, creating a gap between them as they don’t have any common ground. Harri wants to go camping and experience the wilderness; his son would prefer to read. His son is sensitive in a way that he scolds and rejects, making the rift between them more painful and real. A father and son’s camping trip gets more real when an accident strands them in the cold and this is when the film takes on a much more symbolic tone. The physical and natural world is just a backdrop for the emotional rift between father and son. Their trek across the frozen wasteland is a metaphor for the gap between them. It also represents the work that it takes to get closer to another person – even family – when there’s been a estrangement or a breakdown in communication. The cracks in the ice stand in for their fractured relationship and the broken family unit. The film is strong visually and is supported by an equally solid script. Directed and written by Anna Hints, she has an assured storytelling ability that helps ground the film and makes it all the more moving. She’s able to expose a lot about the nature of Harri’s relationship with his son without a ton of exposition and explanation. She also connects symbols and small moments from earlier in the film to the ending, which gives the piece a sense of finality and completion. ICE is a beautifully shot and very accomplished short film. Being unable to relate to your parents is a painful topic, but one that’s all to real for many people. In other hands the story may feel like something you’ve seen or heard before, but Hints is confident and talented in her direction, which makes this piece stand out. The performances she garners from her actors are excellent as well – nuanced and quiet that adds to the realism of the whole piece. It’s a really moving and inspired film that packs an emotional punch without having to rely on big music or sets to examine an all-too human and painful experience that’s so relatable for so many people.